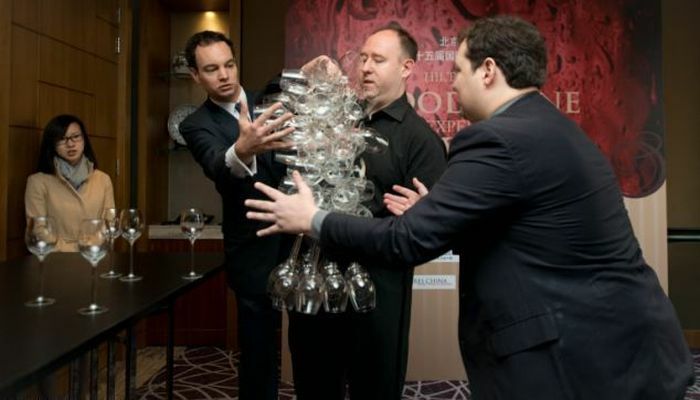 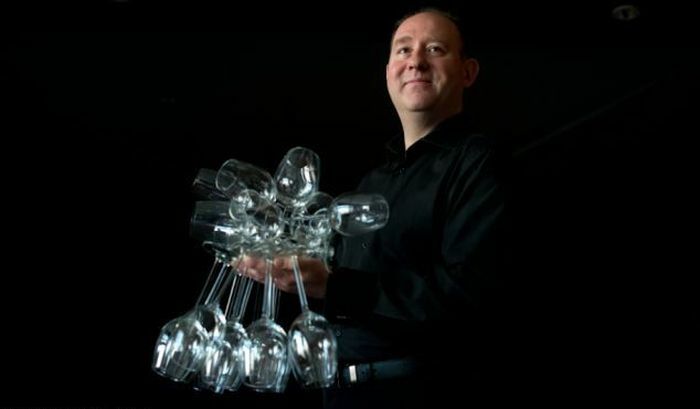 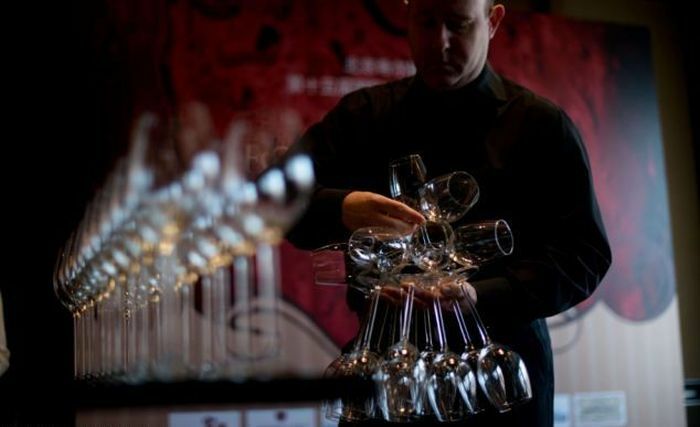 This man can hold 51 wine glasses at the same time. 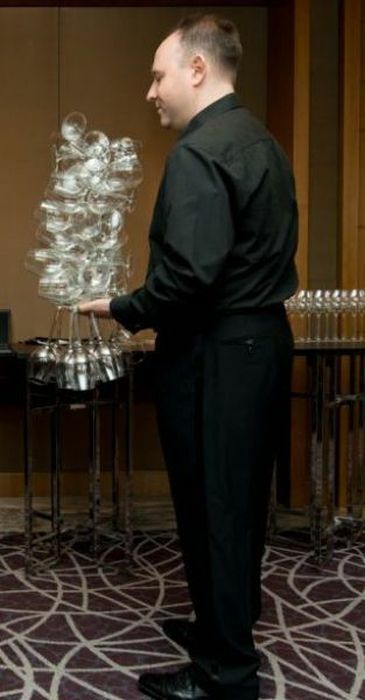 As a busker, he would make slightly more than minimum wage in my bar. 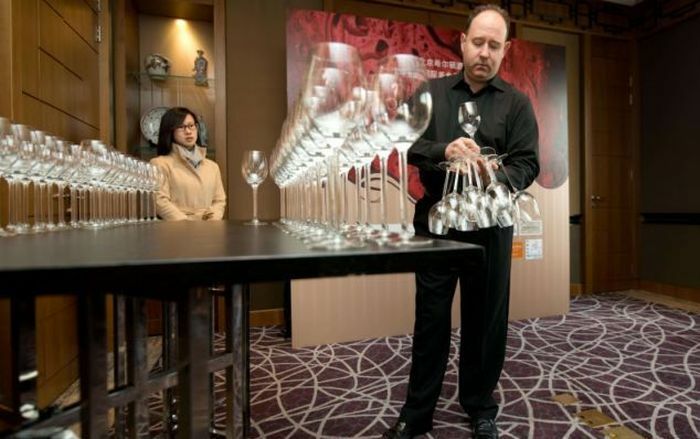 Now all he has to do is fill them up without spilling a drop. 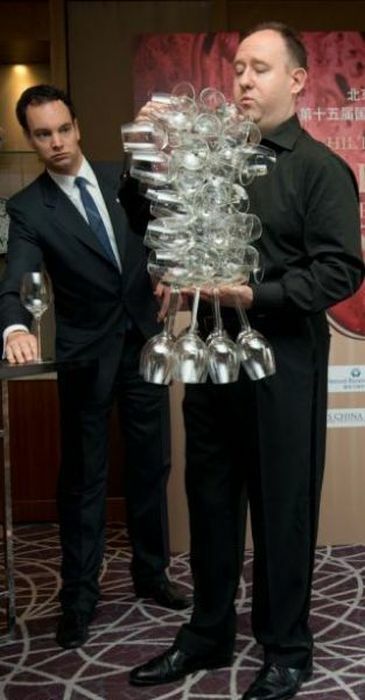 Ok good, now go to a beerfest and see how many mugs you can carry.